Bahco Combination Pliers used for both holding and cutting. The jaws are slimmer than standard products, have smoothly rounded contours to provide maximum accessibility and have a phosphated and anti-rust protected finish. 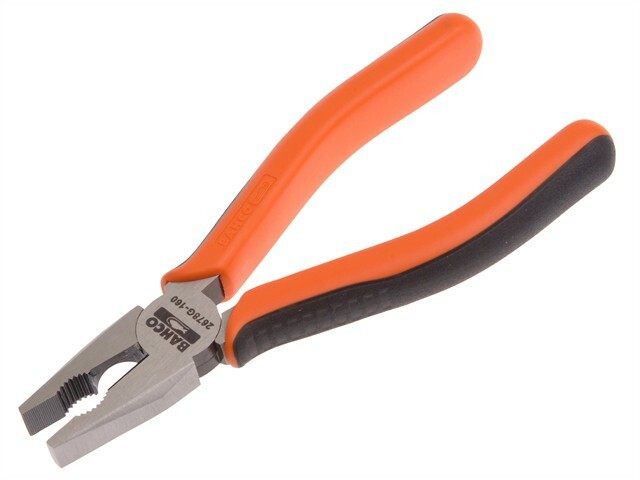 The handles of these pliers are designed to allow the vast majority of users to apply the greatest possible force with the least amount of effort by combining hard polypropylene for the core and a softer elastomer for the surface. This combination of materials provides a firm, non-slip grip for the hand.